WASHINGTON (CNS) — Is the Shroud of Turin real, as many Catholics believe? Or is it a product of the 14th century, as suggested by tests conducted of strips taken from the shroud? Does it matter at all — and, if it does, how much does it matter? Those are the kinds of questions addressed in a new CNN series, “Finding Jesus,” which airs at 9 p.m. EDT Sundays through Easter, April 5. Jesuit Father James Martin, one of a host of scholars and scientists interviewed for the series, said for the series that “in my gut” the shroud is real. The 14-foot-by-4-foot linen cloth has a full-length photonegative image of a man, front and back, bearing signs of wounds that correspond to the Gospel accounts of the torture Jesus endured in his passion and death. The church has never officially ruled on the shroud’s authenticity, but Pope Francis is to visit the Shroud of Turin during its public display in Turin’s cathedral later this year. Pope Benedict XVI and St. John Paul II likewise visited the shroud. Father Martin also appears in a “Finding Jesus” installment dealing with the life of — and relics associated with — John the Baptist. “Finding Jesus” reports there are more bone relics attributed to John than one body could possibly have had. One test finds a purported relic as dating from about seven centuries after John’s time, but tests on another relic fixes the year of death of the person from whom the bone came at 30 A.D.
Relics, even if they weren’t initially thought of as such, have existed “since the earliest days of the church,” Father Martin told CNS. “Anything that was associated with Jesus or the apostles or the early saints would have been treasured much as we treasure our grandmother’s bracelets or a favorite photo of an uncle.” The shroud, he noted, would have been just such a treasured item. 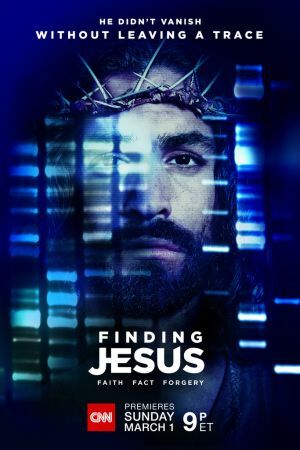 Hourlong installments “Finding Jesus,” based on the book by Religion News Service journalist David Gibson, debut each Sunday at 9 p.m. EDT on CNN. (Check local listings for repeats of the program).